The Inheritors is the second film by writer-director Stefan Ruzowitzky, the first to find distributorship in the United States. It is a work that would be a credit to a far more experienced film maker, powered by a strong plot line, well developed characterizations, stunningly handsome photography, and some interesting observations of the human condition. 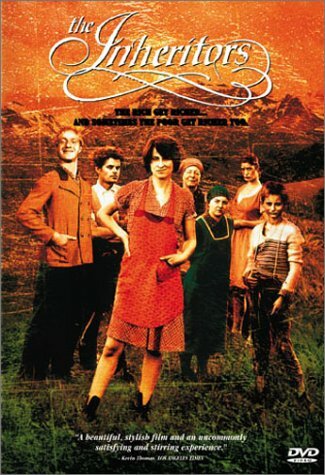 Central to the film’s concern is the deeply stratified society of 1930s rural Austria. The landowning farmers rule the roost, aided and abetted by the Catholic clergy, with the peasantry working the land for a pittance and living in dismal conditions, the fantasy of escape to America one of their few rays of hope. It could as easily be hundreds of years earlier, a distinctly feudal arrangement, made all the more onerous by the small minded hypocrisy of the farmers, who use religious pieties to enforce the code, a code they break at will if it suits their objectives. The pecking order is defined everywhere: the in-between foreman treating the peasants as badly as the farmers treat him, the farmers’ women seated separately from the men in church. Add the premise – a farmer, murdered, has willed his property to the peasants who worked for him. The neighboring farmers covet the land, but are even more worried by the possibility of upwardly mobile peasants. That poses a serious threat to the status quo. The lines of conflict are drawn. Additional plot complications are tossed in the hopper as we get to know the peasants and the dark history of their sufferings in this medieval social hierarchy. The peasant characters are nicely drawn; it is easy to identify with them as they find the courage to buck a system that is totally stacked against them. That violence ensues is inevitable. After all, the Inheritors inherit the system as well as the farm. The ending is profundly sad. If there is a weakness to the film, it is in the character of the principal villain-farmer. He is drawn so blackly that he becomes too stereotypical. A more balanced opposition would have made the injustices even more poignant and the conflict would have been more deeply felt and believed. The film begins to feel like parable, not, we suspect, what the director intended. But with his painterly eye, Ruzowitzky gives us many handsome screen pictures. He also provides some delightfully quirky moments of unpredictability – the appearance of an elephant at the farm, Verdi on a phonograph in the barn with the cows lowing, the sad shrieking of unfed animals. He also elicits excellent performances from all the large cast. Well edited to just over an hour and a half, there is no waste here; each incident adds to the cumulative effect and keeps the story moving apace. CV can’t help but to observe how many of the better recent films have been the product of writer-directors. In addition to The Inheritors, consider Gods and Monsters, Insomnia, Life is Beautiful, Love is the Devil, Marius et Jeannette, Pi – these easily rank among the best films we’ve seen in the last year. The writer who can control a strong script by directing it, or, seen alternatively, the director with the skill and inspiration to create his own script seems to bring a clearer, more focused vision to art of movie making.